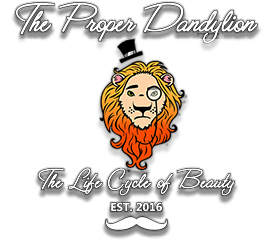 At the Proper Dandylion, Ryan is committed to using only eco-friendly, vegan, all-natural products, with a variety of enticing all natural scents. You’ll be amazed how restorative our products and services can be for damaged or over-processed hair. Come on in, Ladies – take a break from it all and treat yourself to a special new cut and color. You’ll leave with a beautiful new look. And don’t forget – monthly maintenance is always our treat.